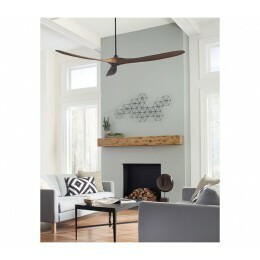 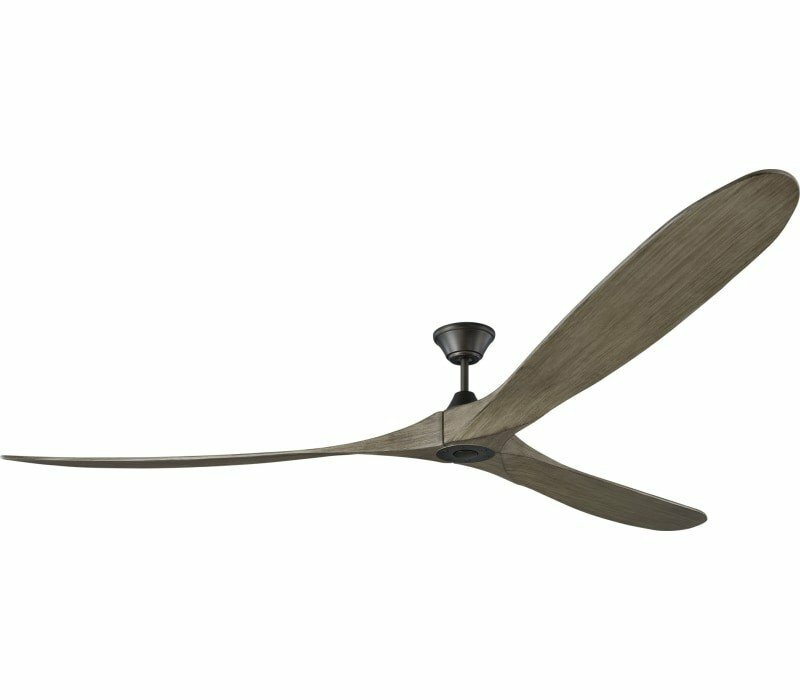 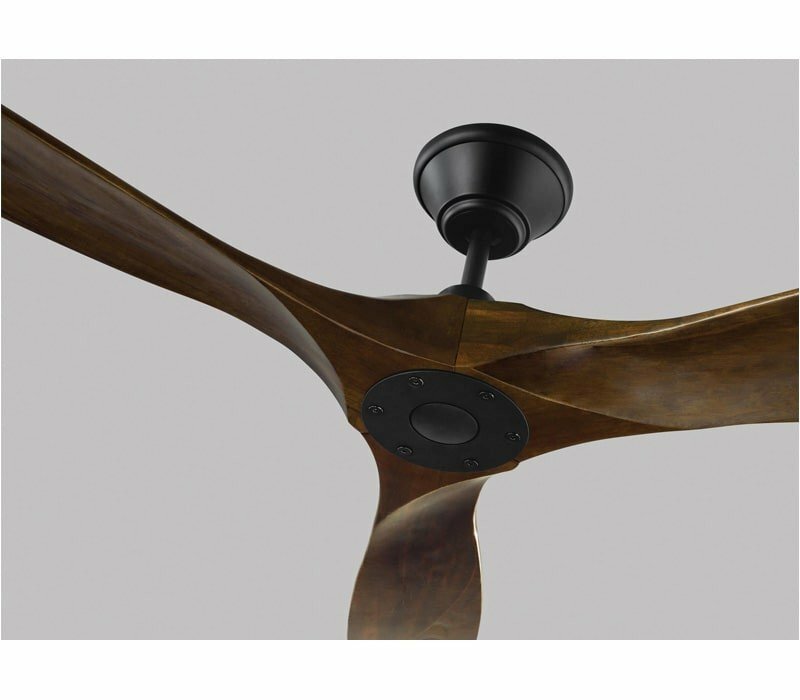 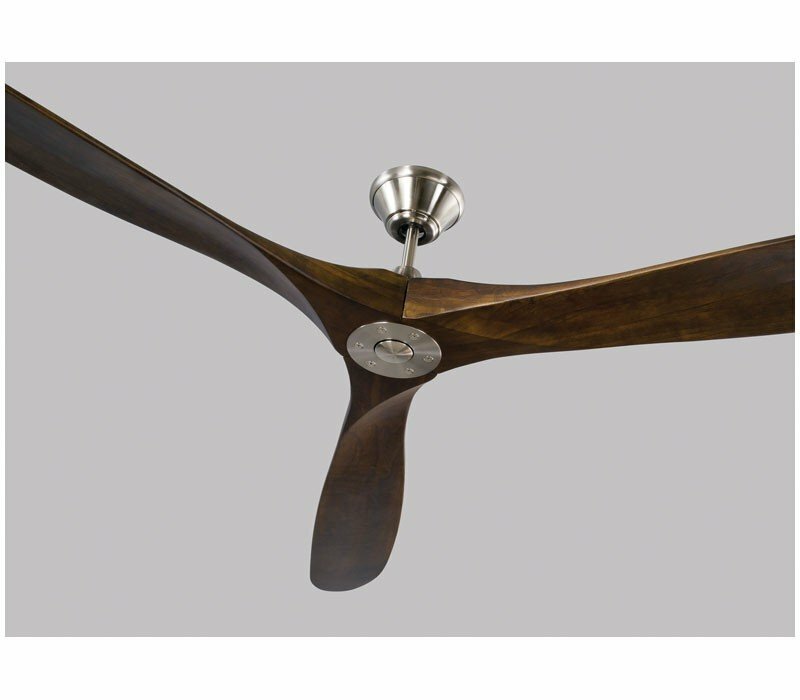 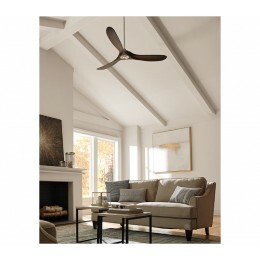 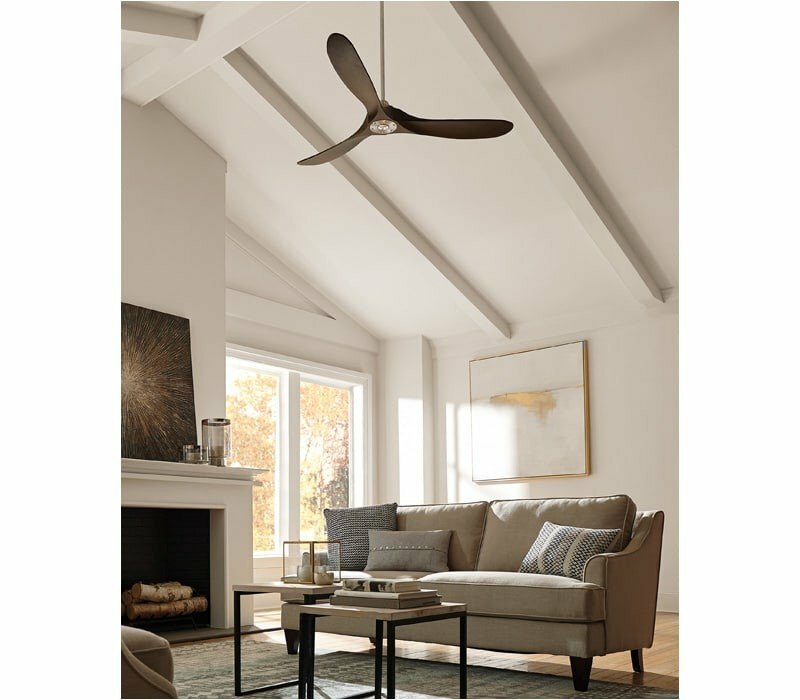 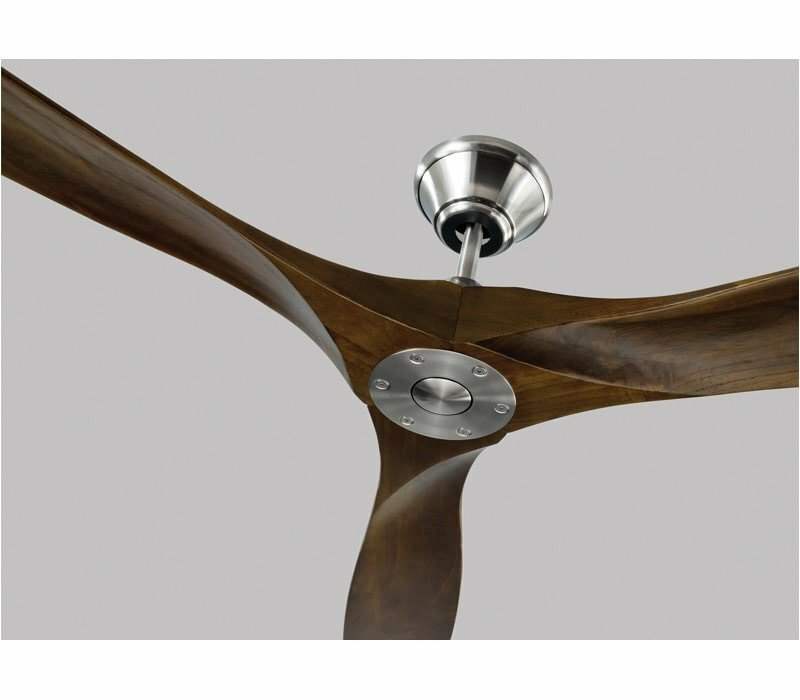 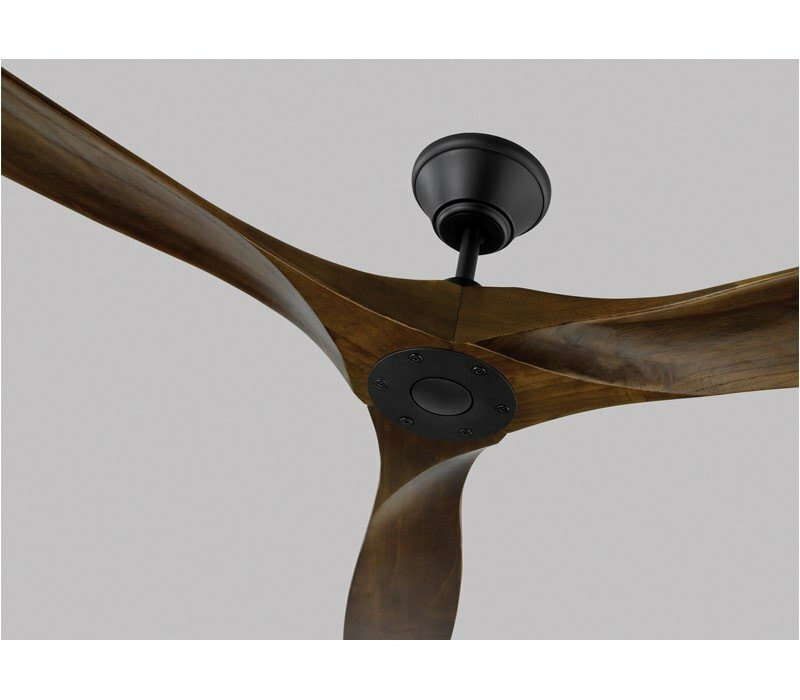 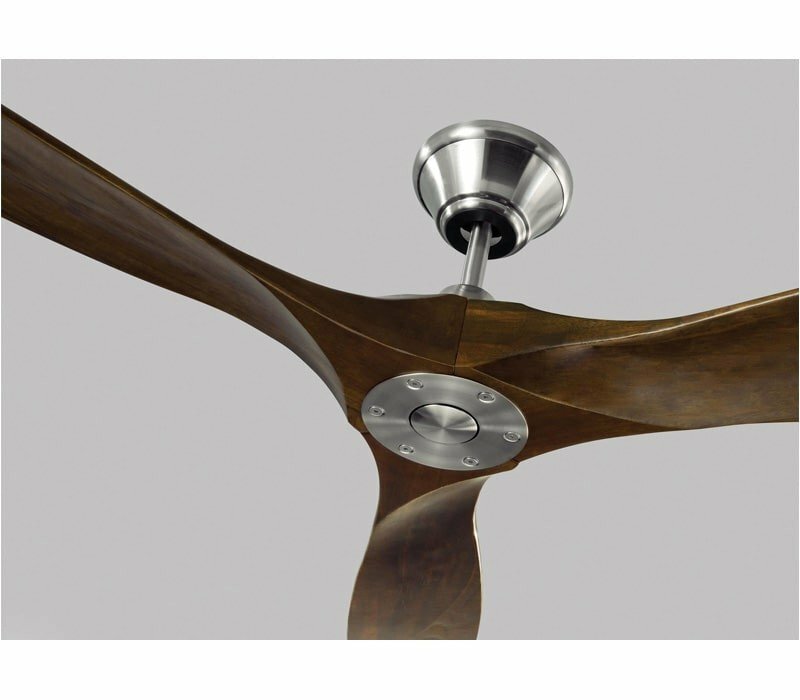 With a sleek modern silhouette, a DC motor and super energy-efficiency, the Maverick Max ceiling fan from Monte Carlo features softly rounded blades and elegantly simple housing. 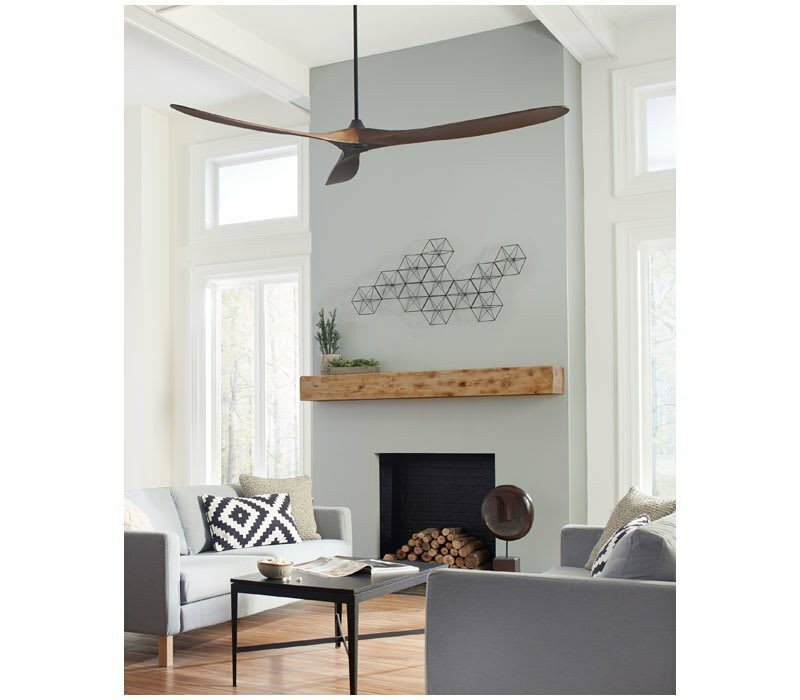 Maverick Max has a 70-inch blade sweep and a 3-blade design that delivers a distinct profile. 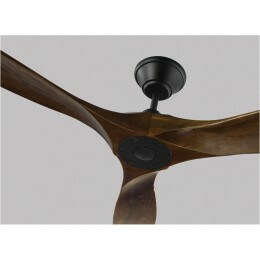 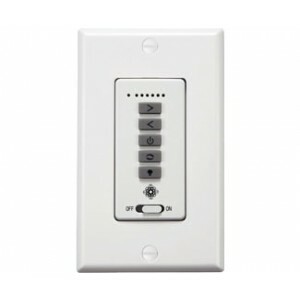 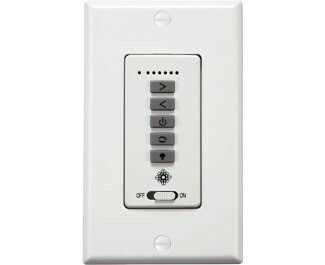 Maverick Max includes a hand-held remote, and is available with either a brushed steel or matte black housing finish. 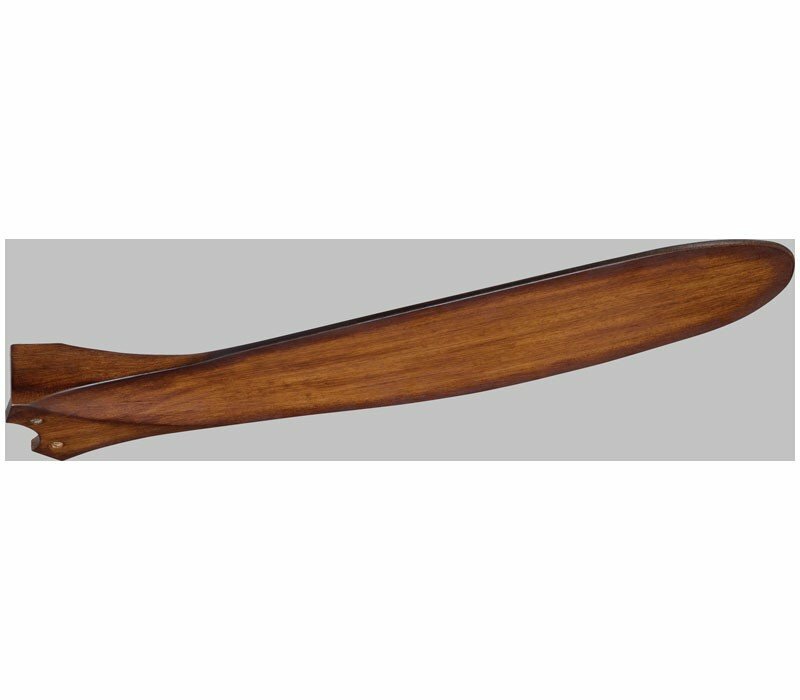 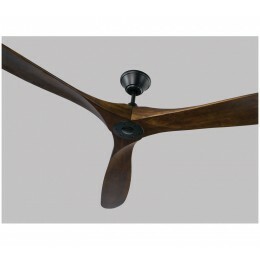 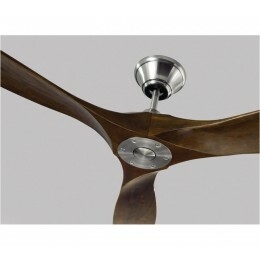 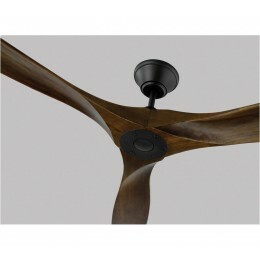 Both versions include dark walnut, hand-carved, balsa wood blades. Maverick fans are damp-rated, and may be used indoors or in covered areas.